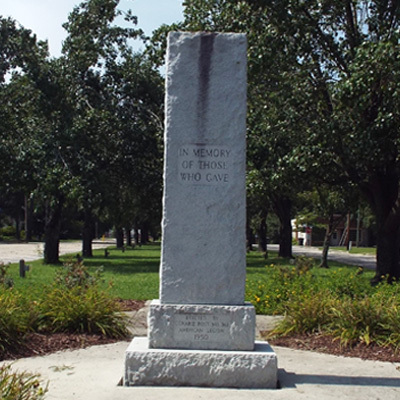 The Roseboro Veterans Memorial is a roughhewn granite shaft on a double base standing eight feet tall in total. Identical inscriptions appear on the front and rear. The shaft is surrounded by a circle sidewalk, landscaping and concrete benches. A plaque in the sidewalk in front of the memorial list donors of two rows of Savanah Holly trees planted in the highway median which runs several hundred yards behind the memorial. The memorial is located on West Roseboro in the median between W. Railroad and N. East Railroad streets. 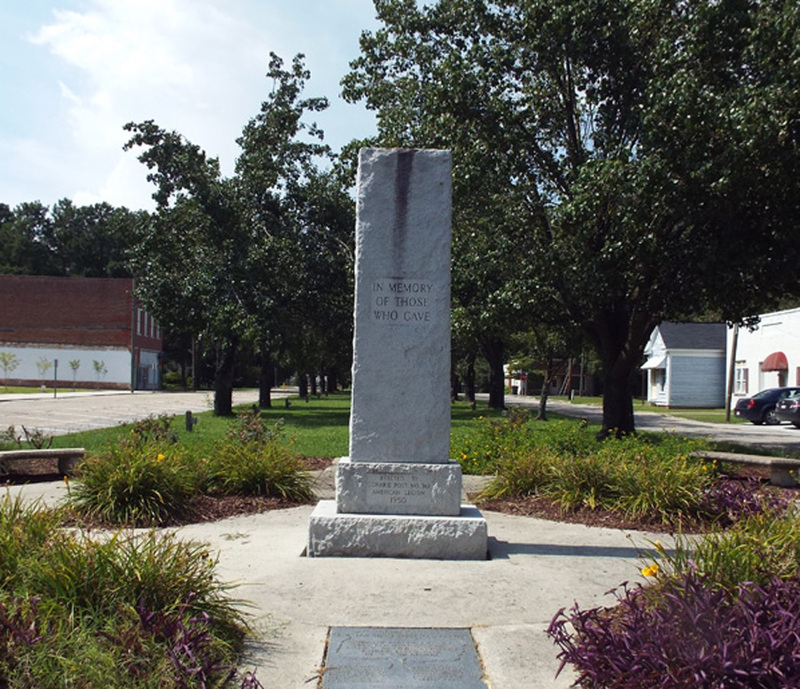 The monument stands in a wide grassy median between two streets forming a park like area. It is adorned with seasonal plants, bushes and trees.